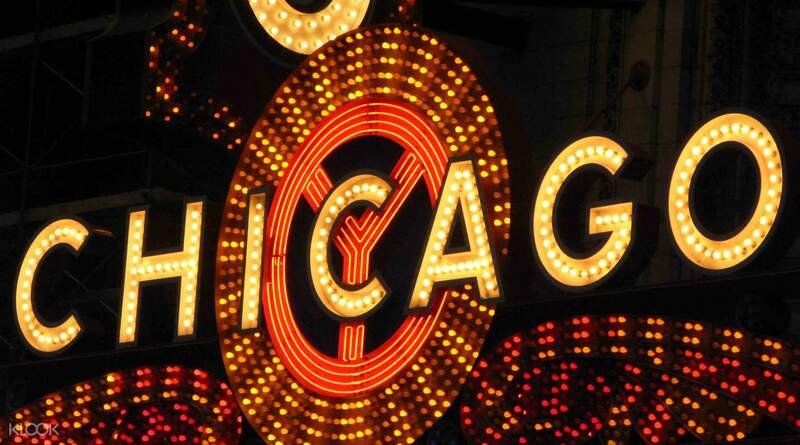 The music, the spectacle, and all that jazz on the Broadway stage! Book your show tickets through Klook to enjoy instant confirmation! See Broadway's longest running musical that has captivated audiences for 3 decades with instant confirmation to save your time! Hear the spectacular award-winning music famed around the world, from "All That Jazz" to "Cell Block Tango"
Witness the musical that has won numerous Tony Awards, two Olivier Awards and a Grammy! A must see show on Broadway! And it's easy to book the ticket via Klook. 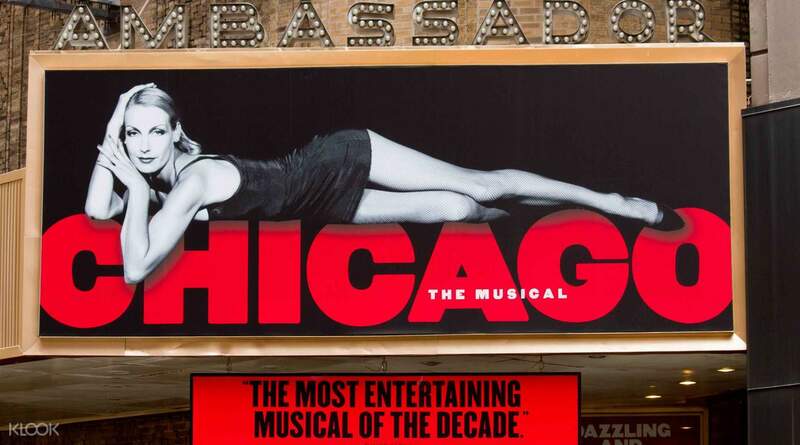 See Broadway's longest running musical live on the New York stage with this ticket to Chicago in the Ambassador Theatre! Be captivated by this satirical take on the jazz scene of 1920s American society as aspiring jazz singer Roxie Hart navigates crime, courtrooms, conspiracy and jazz music. This multi-award winning musical has won Olivier Awards, Tony Awards, and even a Grammy for its incredible soundtrack that has brought unbeatable classics like “All That Jazz” and “Cell Block Tango”! Don't miss the chance to see this incredible performance live onstage in Broadway. Hear the incredible songs of the musical live, from "Cell Block Tango" to "We Both Reached for The Gun"
It's a performance that no theatre fan in New York should miss! It was such an awesome experience! We got 5th row from the front, and exactly center!!! It really worth for the price, music, dance and acting everything was great. Highly recommended! It was such an awesome experience! We got 5th row from the front, and exactly center!!! It really worth for the price, music, dance and acting everything was great. Highly recommended! absolutely amazing!!! the actors and singers and dancers were very professional and I was close enough to see their sweat. truly memorable. definitely worth the money. absolutely amazing!!! the actors and singers and dancers were very professional and I was close enough to see their sweat. truly memorable. definitely worth the money. Got seats 3rd row from the front center aisle. Fantastic performance by the cast. Got seats 3rd row from the front center aisle. Fantastic performance by the cast. A must see show on Broadway! And it's easy to book the ticket via Klook. A must see show on Broadway! And it's easy to book the ticket via Klook. Thank you for raising your concern to us. We sincerely regret to hear about the inconvenience you experienced, and we take your feedback extremely seriously. Your case has been noted and passed to the local operator for further investigation. Our specialist has assisted you with your booking. Your understanding will be much appreciated. Thank you for raising your concern to us. We sincerely regret to hear about the inconvenience you experienced, and we take your feedback extremely seriously. Your case has been noted and passed to the local operator for further investigation. Our specialist has assisted you with your booking. Your understanding will be much appreciated.